The deadline for merchants and card issuers to adopt EMV standards is October 1. Given that this date is just around the corner, you might think that the majority of companies would have achieved this goal by now, or at the very least would be well on their way toward doing so. In reality, though, a huge number of firms have yet to reach this point. This does not mean that such organizations are desperate, but it does indicate that immediate action is needed to ensure such companies can become and remain protected and compliant. The sooner companies act on EMV, the better. "Only 27% of U.S. merchants are likely to be EMV-ready by the October 1 deadline." The scope of this issue was highlighted by a recent survey from The Strawhecker Group. This report found that only 27 percent of U.S. merchants are likely to be EMV-ready when the October 1 deadline rolls around. This marks a noteworthy decrease from March, when the research firm estimated that 34 percent of affected businesses would achieve compliance on time. The report went on to estimate that even by December of this year, fewer than half (44 percent) of U.S. merchants will have fully embraced EMV. By the end of 2016, EMV adoption will still remain less than universal, as 90 percent of merchants will have gotten onboard with EMV by that point, according to The Strawhecker Group. Delays surrounding the EMV deadline are not limited to merchants. As a survey from ABI Worldwide recently found, 59 percent of U.S. consumers with one or more credit or debit cards have not yet received chip-enabled cards, as required under EMV, Forbes reported. An even greater portion - 67 percent - said they have not received any information or explanation from their banks or credit card issuers regarding what EMV is and how it will affect them. Mike Braatz, senior vice president of Payments Risk Management for ACI Worldwide, explained that this lack of consumer awareness and preparation does not bode well for retailers. "[I]f consumers are unaware, the implications for retailers come October and throughout the holiday shopping season could be major, especially as retailers prepare for this new payment experience," said Braatz, according to Forbes. "Although October is the date for the liability shift, we know issuers, acquirers and retailers are still working on issuing cards and upgrading payment acceptance systems to address EMV." 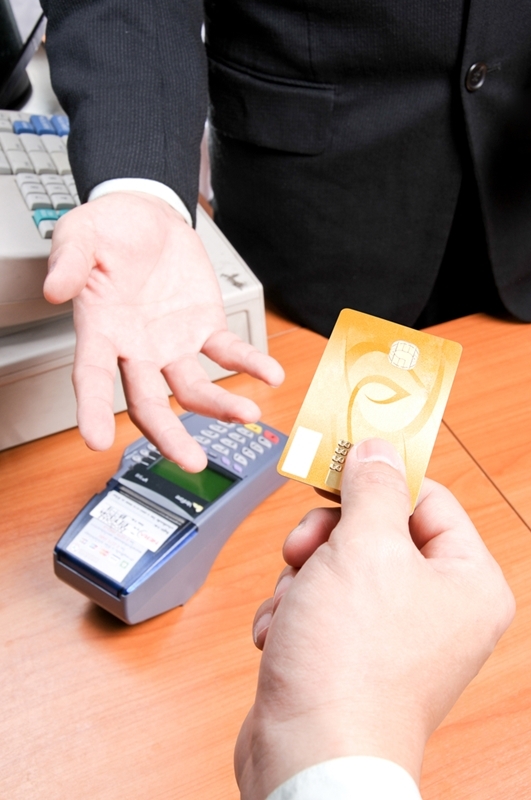 Retailers should reach out to their customers about EMV's implications. On the plus side, though, this is one of the easier issues for firms to tackle. As company leaders take action to embrace EMV, they will inevitably come to understand more about the technology and its benefits, and how all of this will impact consumers. By passing this information on to their customers, business decision-makers can help to ensure that everyone remains safer and more protected, all while developing a better brand reputation and customer relationships. There are serious potential consequences for those merchants who fail to meet the October 1 EMV deadline. Most notably, this date will mark a shift in liability from the credit card issuers to the merchants who have not yet embraced EMV by deploying EMV-capable pay terminals and tackling all of the required back-end code updates, as well as following through with the necessary certification process. This means that the businesses themselves will be responsible in the event that any fraudulent point-of-sale transactions occur on their systems. This may not be a huge risk right now, but the longer a company goes without upgrading, the bigger the danger. Immediate action is the best way to stay safe and reduce liability. With all of that in mind, what are the next steps for retailers worried about EMV liability and eager to protect themselves and their customers? Most obviously, businesses need to upgrade their hardware. An EMV-capable terminal is essential, as only such a point-of-sale system will take advantage of the EMV chip's security benefits. Additionally, many businesses need to work closely with software development teams to prepare for EMV. As QuickBooks contributor Fred Badlissi emphasized, now is a great time for business owners to upgrade their payment systems. "If you've been considering an investment in a more robust payment system than your current one, perhaps with inventory or customer-loyalty functionality, coupling it with an EMV-capable solution may give you the best return on your investment," the writer asserted. Badlissi also pointed out that NFC mobile payment solutions typically include EMV security standards. Considering the value that a mobile payment solution can deliver for a company - check out this earlier Syrinx blog about the advantages - combining an EMV upgrade with a new mobile payments solution can give companies a serious competitive advantage, all while keeping themselves and their clients safe with EMV-capable technology.